Enjoy free champagne as you tour the Victorian mansion, mingle with vendors, and snack on tasty treats. You will also have the chance to meet with some of our preferred vendors and receive special discounts on wedding-related events. 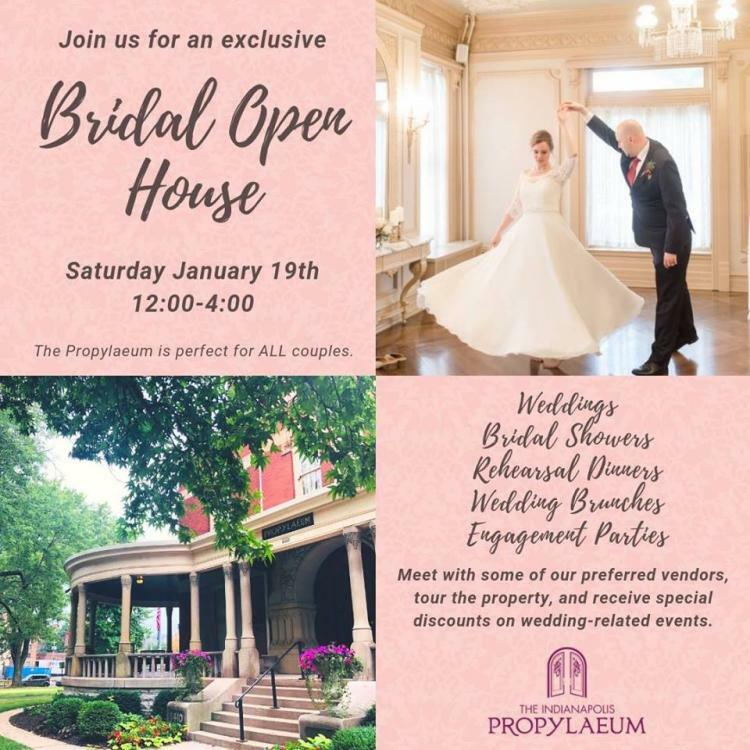 This is the perfect opportunity to see the Propylaeum set up for all types of wedding-related events including: weddings, bridal showers, rehearsal dinners, post-wedding brunches, and engagement parties. We will be giving away a FREE BRIDAL SHOWER and offering 10% off all events booked within a week of the event.